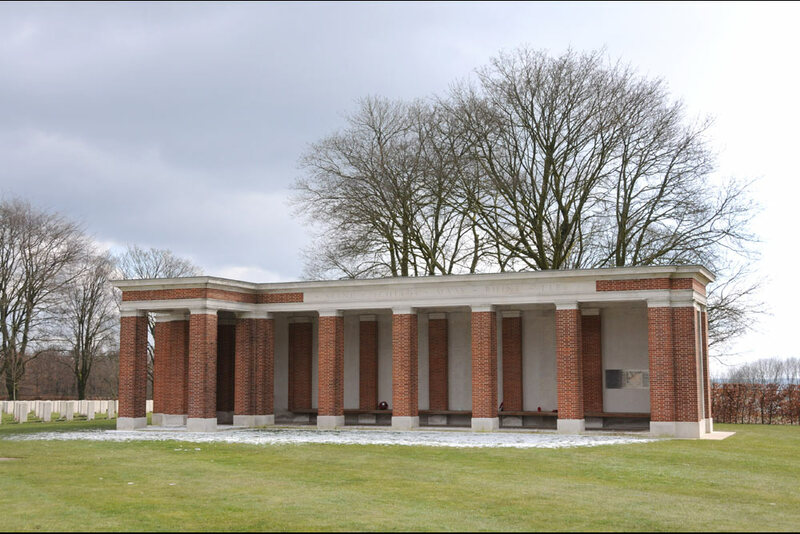 The Canadian cemetery in Groesbeek is one of the three official Canadian war cemeteries in the Netherlands. The two other locations are in Holten and Bergen-op-Zoom. 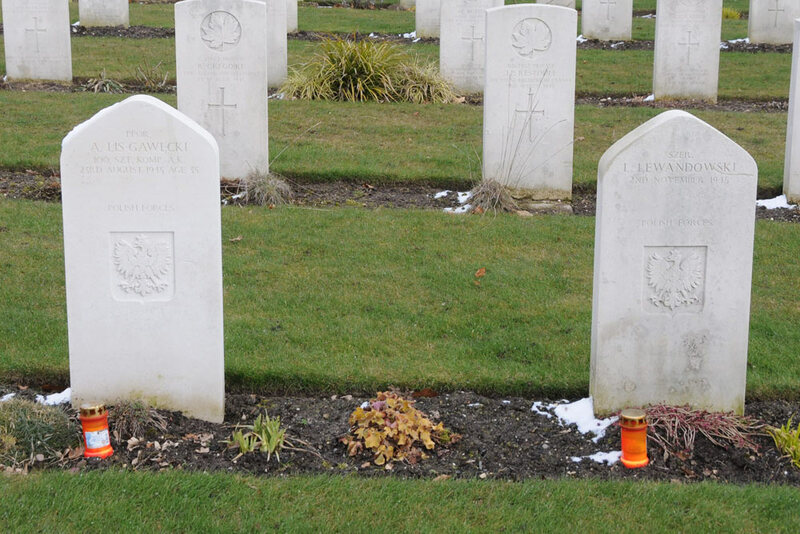 Many other Canadian casualties rest in many church yards and Commonwealth war cemeteries.  On the mentioned Canadian war cemeteries, there are not only Canadians buried, there are victims of other nationalities as well, mostly from the Commonwealth but also from other countries. 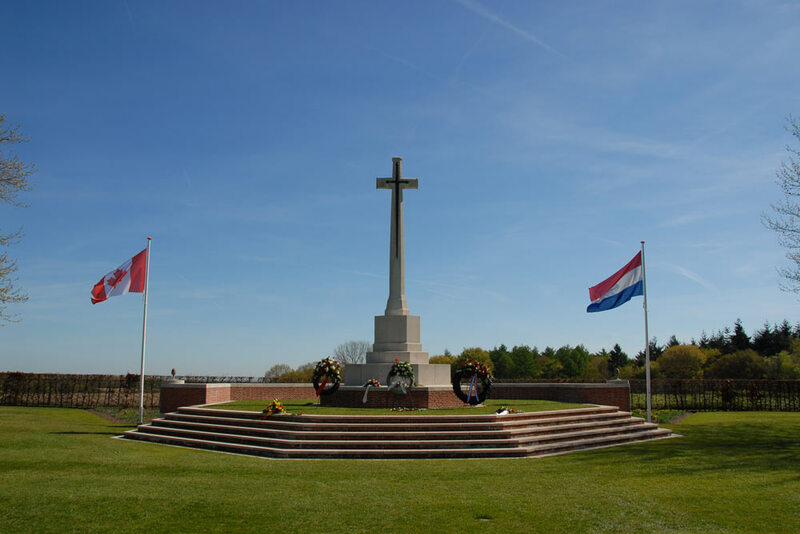 The Canadian war cemetery in Groesbeek dates from 1945, when the 2nd and 3th Canadian Infantry Divisions and the 4th Canadian Armoured Division took part in Operation Veritable. 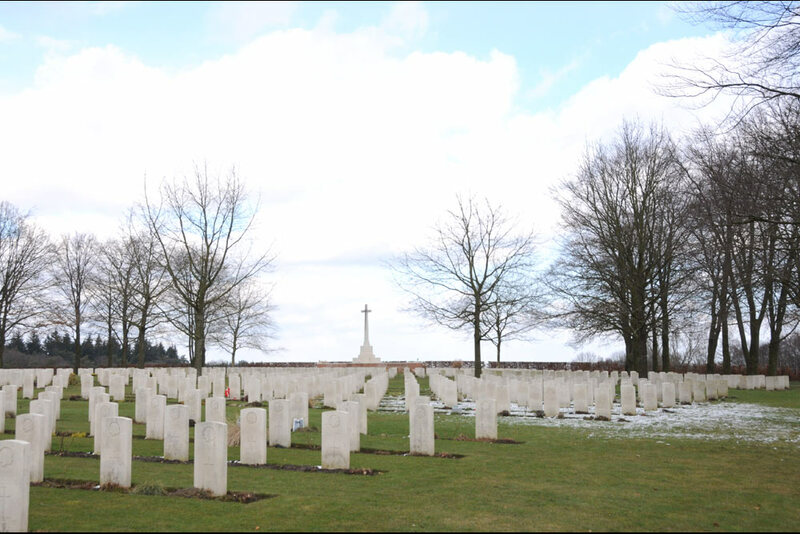 There was a need for a cemetery close to German soil to bury the Canadian victims who fell during these battles. 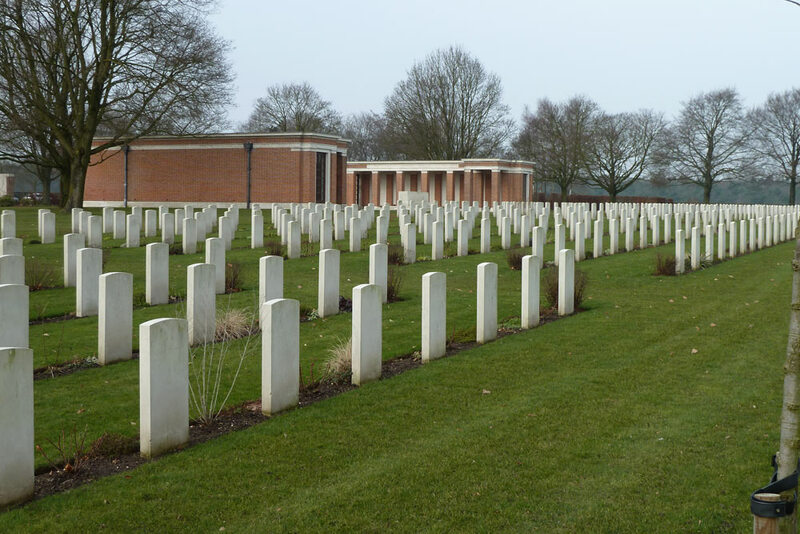 The soldiers who were killed in the region, often rest in this cemetery as well but there are mainly Canadian soldiers killed during Operation Veritable, the Battle of the Reichswald but also, for example during the Battle of Kapelsche Veer. 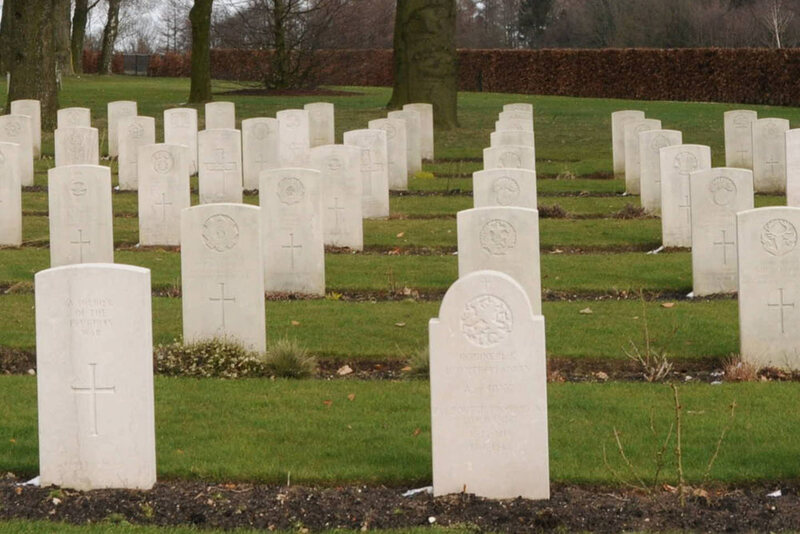 The killed soldiers of the battles in Germany were often buried in Germany and immediately after the war they were reburied in Groesbeek. The cemetery was founded in the summer of 1945, a team led by six Canadians needed two years to build the entire cemetery. At that time, the cemetery did not look like it does now. Wooden crosses marked the large grass field, they were replaced in 1950 by iron crosses. They also exposed the ground around the headstones and added permanent planting, as we today still see in virtually all of the Commonwealth war cemeteries in Europe. In 1957, the white Portland headstones were added and the rest of the cemetery was built according to the design of the British architect Philip Dalton Hepworth. The cemetery was officially opened on 4 May 1947 in the presence of the Dutch Queen Wilhelmina and the Canadian Ambassador P. Dupuy and Prince Bernhard. In contrast to Americans, Canadians and other Commonwealth victims were not repatriated after the war. 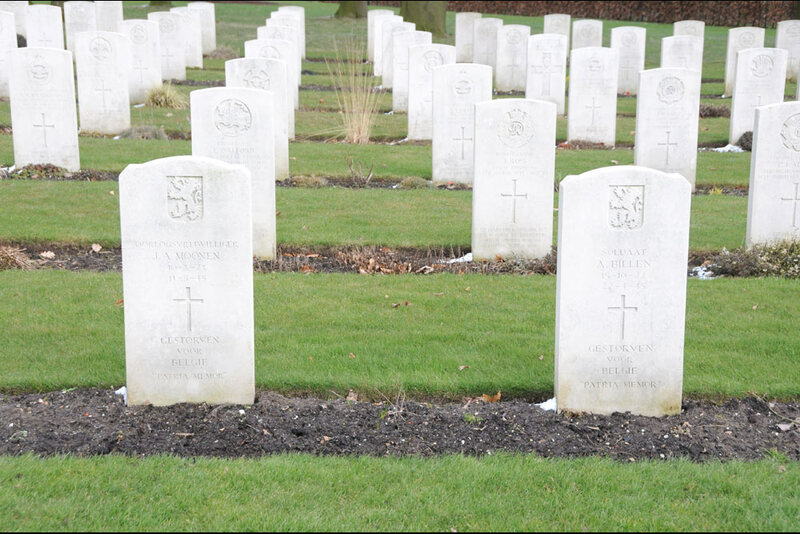 Several Canadian casualties were exhumed at local cemeteries and reburied in one of three war cemeteries. After the war, there was also an adoption program. Dutch who took care of the graves of the fallen Canadians, they maintained contact with the relatives sometimes as well. In total there are 2,619 graves in this cemetery, airmen, soldiers, officers and often heroes with all a personal story. 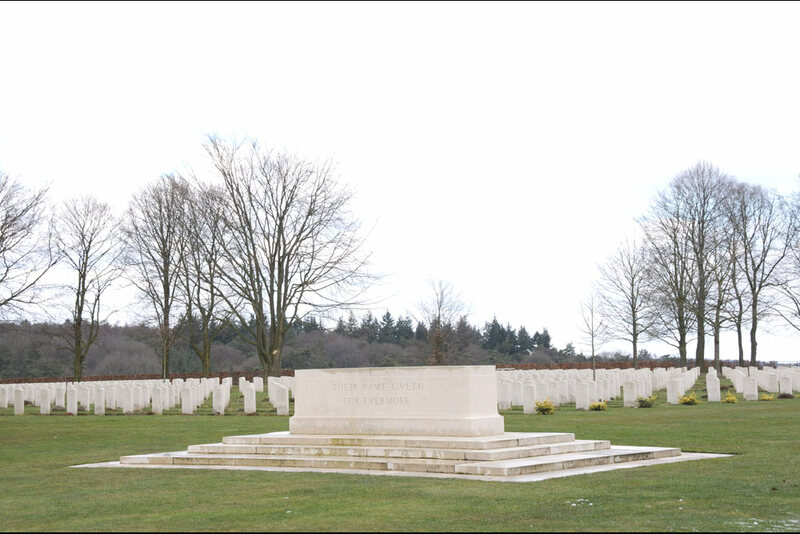 Moreover, the Groesbeek Memorial, which is located at this cemetery, commemorates 1,047 missing soldiers. 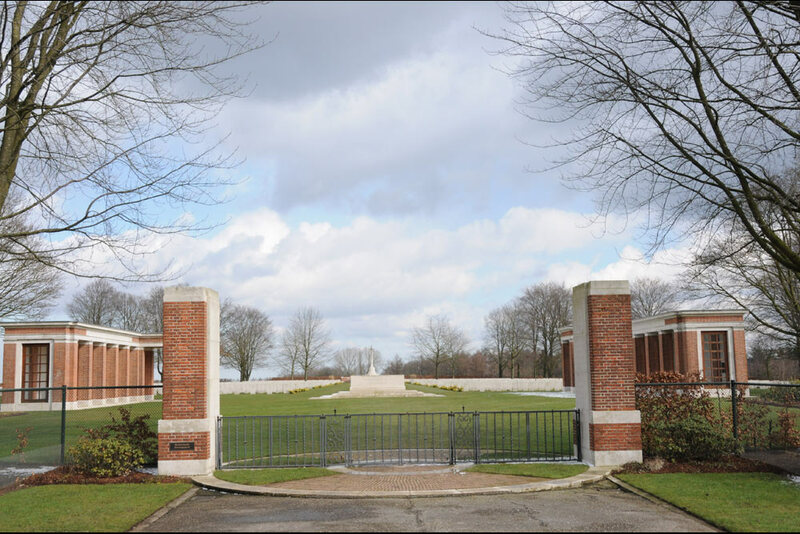 Perhaps more war victims of the Second World War will be buried here in the future, as the cemetery has the status "open". Perhaps from elsewhere closed cemeteries or while remains of soldiers are found during excavations. LUIJTEN, A.F.M., Canada en Noord-Brabant.